This popular adventure up Oneonta Gorge is extremely unique. You can visit Oneonta Gorge any time of year, but you dare only hike up it when the water is very because you must actually walk up the river, there is no trail.... the river is the trail. 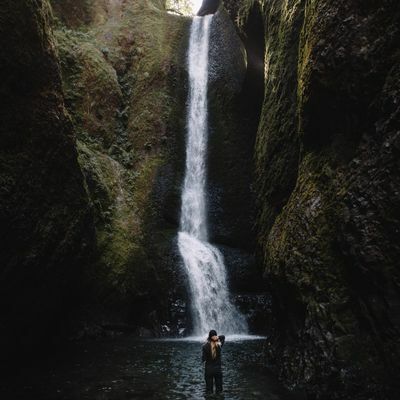 No one has reviewed Oneonta Gorge Falls yet, have you been here?..